YES! 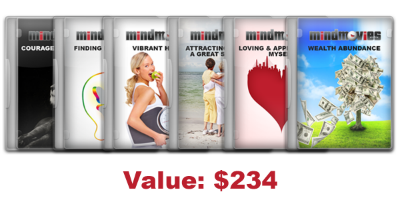 Natalie, I'm absolutely ready to get started now with my Mind Movies Creation Kit and manifest everything I desire into my life, quickly and easily. I understand that by buying today, I am receiving exclusive bonuses that are available for a limited time only. Two easy payments of $58.99. Just one payment of $58.99 today. And one payment in 30 days.